Product #17525 | SKU BOTTLE CAPSULE B1 | 0.0 (no ratings yet) Thanks for your rating! The Blue B1 Small Diaphragm Bottle Cap is an interchangeable capsule for Blue Bottle and Bottle Rocket studio microphones. A variety of interchangeable capsules are available; each with its own frequency, tonal and pickup pattern characteristic. 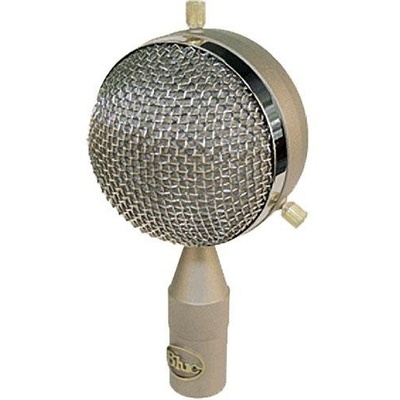 The B1 is a small-diaphragm condenser capsule with a cardioid polar pattern that provides accurate audio reproduction and an extended high frequency response. Suggested applications for this capsule include acoustic guitar, accordion, drum overheads, metal percussion, hi-hat, small pitched percussion such as toy piano or marimba, room or ambient miking, foley and sound effect recording, strings and orchestral recording.